West Portal is not generally thought of as having been built by famous architects or developers, as is St. Francis Wood and Forest Hill. The man who developed West Portal is known in Victorian circles as a builder in the Mission and Castro in the 19th century. Yet he was one of San Francisco's most prolific homebuilders whose career (and that of his sons) spans seven decades and includes many of San Francisco's architectural styles. Fernando Nelson developed most of what is now called West Portal (bounded by Taraval, Kensington, Portola Drive, Sloat Blvd, 19th Avenue and Wawona). In 1916, Fernando Nelson & Sons bought 49 acres adjacent to the western entrance of the Twin Peaks tunnel for $300,000. Nestled between the edge of the old Rancho San Miguel on the west and St. Francis Wood on the east, he called the district "West Portal Park." The name was probably an effort to capitalize on the "residential park" mystique popular at the time for denoting exclusive areas such as St Francis Wood and Forest Hill. He quickly subdivided the land into lots and built many of the homes along West Portal Avenue, the western side of Portola Drive, the 100- 200- and 300-blocks of Wawona, both blocks of Forest Side and both blocks of Madrone. Some of the original sewer vents on these streets still bear his mark. Although known as a Victorian builder (see "Victoria's Legacy," by Judith Waldhorn), Fernando Nelson and his sons are credited with constructing 4,000 homes in San Francisco from 1876 through the post World War II period. 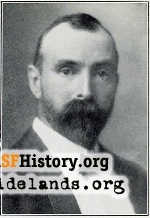 Born in New York in 1860, Fernando came to San Francisco and built his first house at 407 30th Street at the age of 16. He continued building Victorians in the Mission and Castro districts during the 1870s, 1880s, and 1890s, adopting to the prevailing tastes of the day while adding a few signature details of his own. He was not an architect and borrowed freely from others in building modest homes for working-class families. In the early 1900s, his sons Frank Fernando Nelson and George R. Nelson joined their father. Business must have been good because Fernando could afford to live in Presidio Terrance and indulge his passion for road racing at a time when cars were a luxury. He won several races from San Francisco to Los Angeles. By the turn of the 20th century his strategy was to buy land and build homes as soon as new streetcar lines were laid in the Richmond and Sunset districts. In the Richmond, he built a variety of homes from late Queen Anne to Edwardian and even some Craftsman style homes (see the article by John Freeman). His son Frank is credited with designing homes built from about 1914 onward, including many of the houses in West Portal. He too was not an architect and, according to his brother George, Frank's formal training consisted of a few correspondence courses. William Nelson built many of the houses in Merced Manor in the mid-1930s, one of the firm's last large-scale developments. Fernando died in 1953 at the age of 93 and the business closed soon thereafter, ending a long chapter of San Francisco home building. Richard Brandi is a West Portal resident and architectural historian specializing in historic preservation. 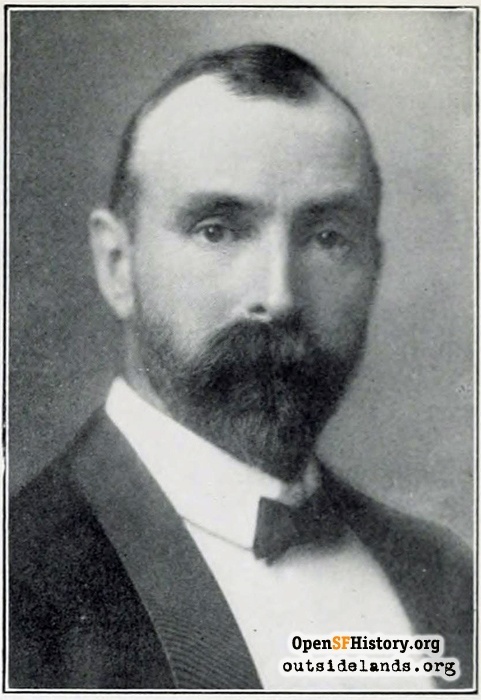 He is the author of the WNP publication "A Brief History of West Portal". He would be delighted to hear from anyone with knowledge on Fernando Nelson & Sons. You can email him at richard@outsidelands.org or call at 415 753-5130. Read more about Nelson's construction style and Richmond District work. Nelson also developed Parkway Terrace in the Sunset district!